Albert’s Family Restaurants have been providing quality food in a family atmosphere for over 55 years in the Edmonton area. Their menu includes all the favourites, from golden buttermilk pancakes to homestyle dinners. 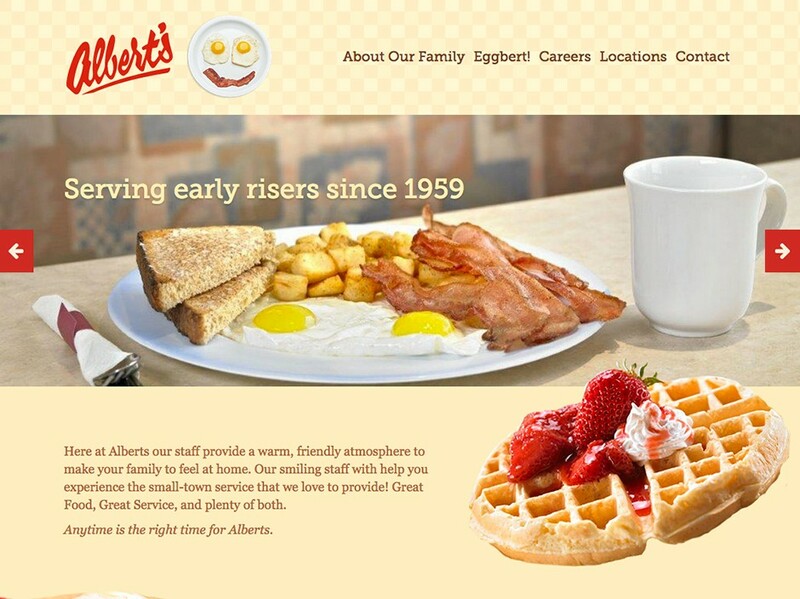 Project Summary: We worked with Albert’s to design and develop a new website. 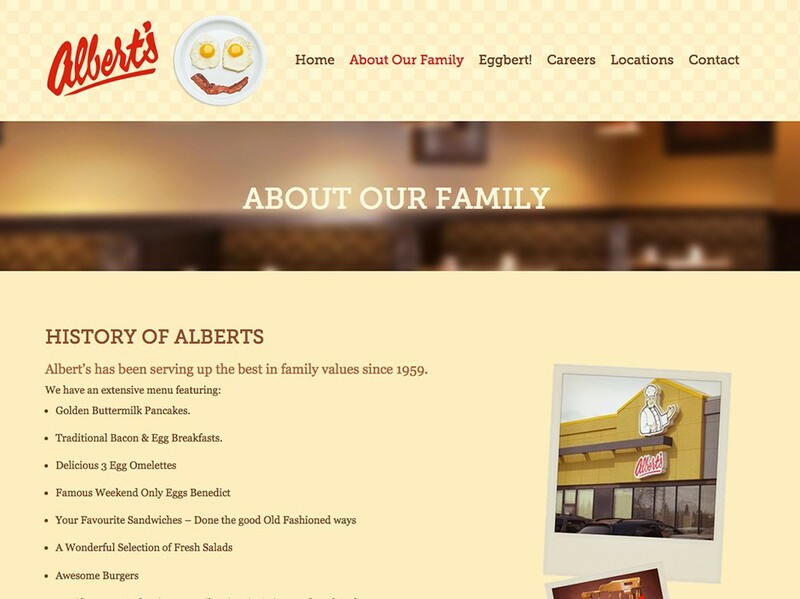 Along with the new website we ran a social media campaign for Albert’s and their new mascot, Eggbert.